« Treasured Fender Jazz American Deluxe Stolen… and Recovered! 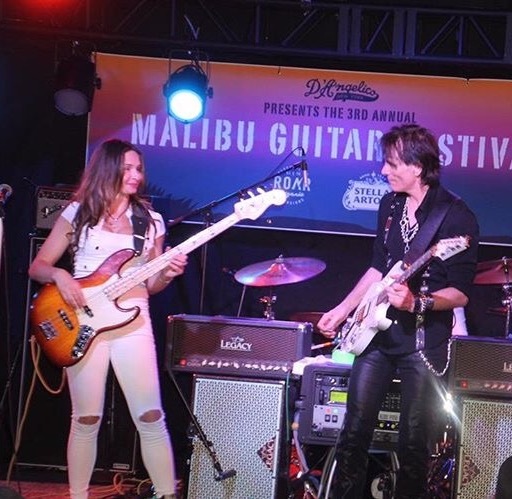 Angeline was extremely honored to share the stage with very special guest Steve Vai at the Malibu Guitar Festival. 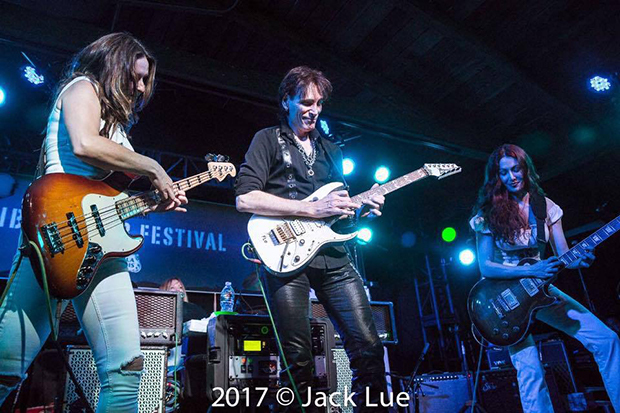 He joined the girls of Zepparella for Custard Pie, a heart-breakingly beautiful rendition of Babe I’m Gonna Leave You and Whole Lotta Love. 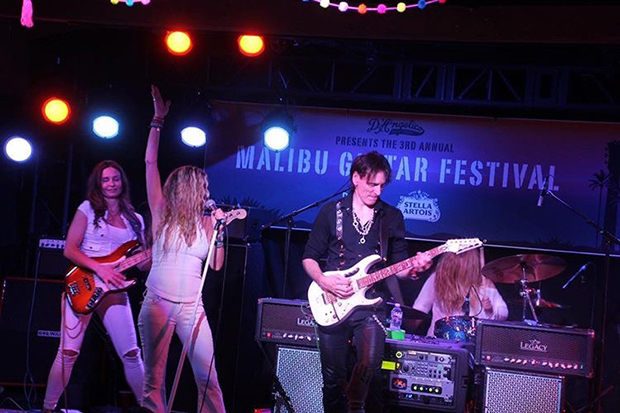 Lari Basilio and Daniele Gottardo also took the stage for Whole Lotta Love, which closed out the set at Escobar’s with a bang!